It’s your last chance to cool off this summer in a backyard pool, splashing your toes in the water and enjoying a nice cold treat. 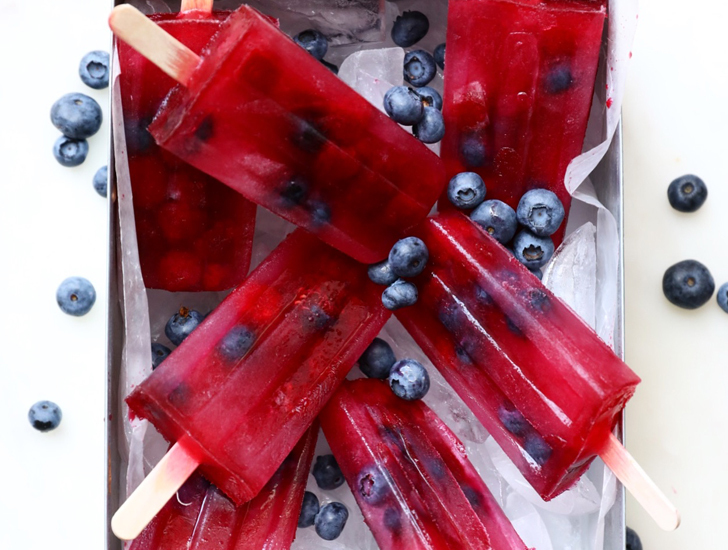 And there’s nothing healthier than a homemade ice pop, because you know exactly what is going in it. Try one of the recipes below and make them for your friends to share. There are only a few hot weeks left until fall! Blend the ingredients together in a high speed blender until smooth. 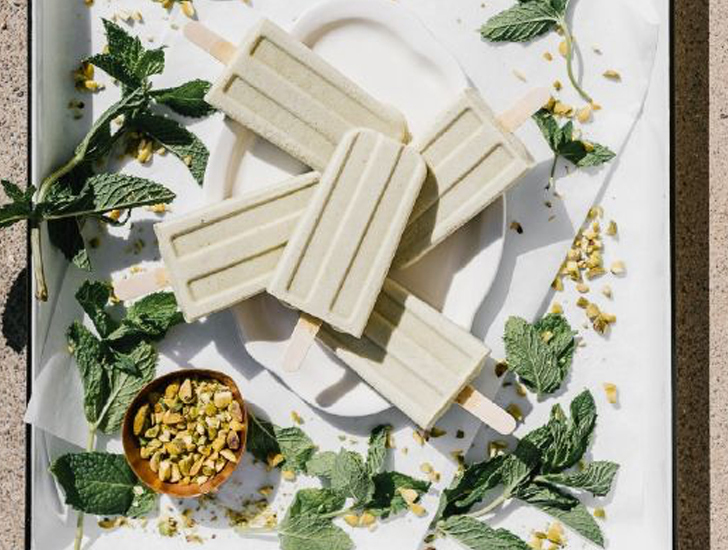 If using a standard blender, soak the pistachio meats in filtered water for 4 hours to soften before blending. Pour the batter into your chosen ice cream mold. Let freeze for an hour before inserting the sticks. Freeze until solid (about 4 hours, or overnight). Rinse the mold under warm water for 10 to 20 seconds to help the pops release. Enjoy right away, and store leftovers in an airtight container in the freezer. Preheat the oven to 400°F. Place the halved peaches cut side up on a baking sheet. Drizzle 2 tablespoons of honey over the peaches. Roast the peaches for 15-20 minutes until tender. Transfer the roasted peaches to a blender or food processor and blend until smooth. Transfer half of the puréed peaches into a bowl. Set aside. Leave the other half of the peach puree in the blender and add the remaining ingredients. Puree until smooth and creamy. Carefully pour the mixture into your 3-ounce molds, filling each up about ⅔ – ¾ of the way full. You may have just a little of the mixture left over. Tap the mold on the counter a few times to release any air bubbles. Place the sticks in. Freeze for at least an hour, until mostly solid. After the first layer has frozen up enough, pull the ice pop mold out of the freezer and carefully pour the remaining peach mixture into each mold. Tap the mold on the counter a few times. Place back into the freezer and freeze for about 4 hours. They will last a month in the freezer. 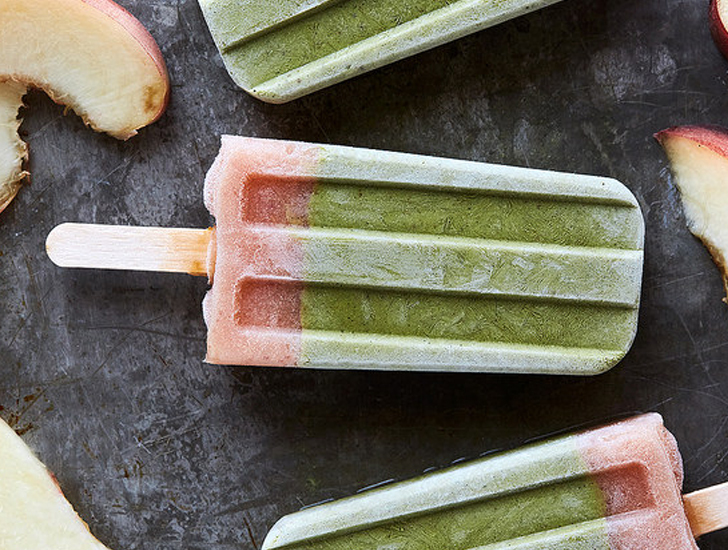 Blend together all ice pop ingredients until very smooth. Pour into pop molds of choice and let freeze for one hour, then insert sticks and freeze for at least six more hours, or until frozen solid. To remove, simply run under warm water for 10 seconds. 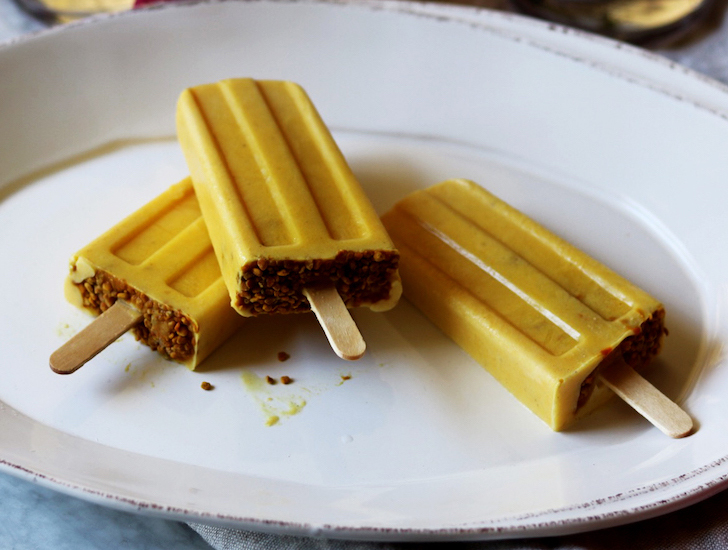 Transfer unmolded pops to a piece of parchment or waxed paper in the freezer. This is very important, as you’ll want them completely frozen when you use the drizzle on them. To make the drizzle, melt cacao butter, then stir in all remaining ingredients until very smooth. 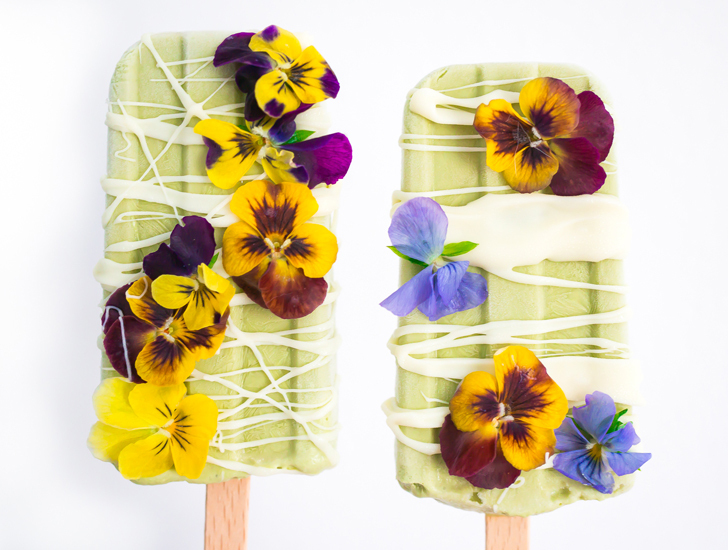 Remove pops from freezer and add drizzle; you can place edible flowers where you’d like them to go, if desired. Return to freezer and freeze for 1 more hour, or until frozen solid. 4 cups water, just below boiling. Brew tea blend 5-10 minutes in a pitcher with the lime slices (you will need to be able to easily pour into the pop molds). It’s easiest to use fill-your-own tea filter bags. While tea is brewing, soak pop sticks if using bamboo or wood. Remove/strain hibiscus leaves. Stir in agave or honey and allow to cool. Add to pop molds, allowing about 3 mm of space for expansion. Freeze overnight or for at least 3 hours. In a blender, mix the Greek yogurt, banana, tangerines, water, peptides, coconut, MCT oil, turmeric, ginger, and cinnamon until smooth and fully incorporated. Taste. You can adjust the flavor at this point by adding more cinnamon, ginger, turmeric, or tangerines to taste. Pour the mixture into six frozen pop molds. Divide the bee pollen over the top evenly, about 1 tablespoon each. Add your popsicle sticks and freeze for at least four hours. When ready to serve run under warm water (for about 30 seconds) to help the ice pops release from the molds. Try one of these recipes and comment below on how it turned out…don’t forget to SHARE on Facebook!